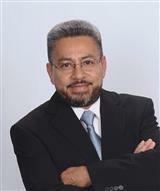 Cesar is eager to fulfill his clients' real estate needs with honesty and integrity, in both English and Spanish. He has called Texas home since 2009, after living in both Ecuador and New Jersey. Prior to joining Century 21 Western Realty, Cesar used his goal oriented nature and attention to detail in the Manufacturing and Pharmaceutical industries. He obtained certifications and completed coursework in Materials Management and Business Administration. Always eager to help, Cesar gained the trust and respect of his many friends and colleagues. In his spare time, he enjoys spending time with his amazing wife and kids, exploring new neighborhoods, reading, exercising, and playing soccer.